Easily clean cooking grates with this bamboo grill brush featuring long-wearing stainless steel bristles. A safe and easy way to scrub down your grill. This unique scrubbing brush uses two woven steel pads to scrub away grease and grime, instead of bristles. Its rounded corners are ideal for kettle grills and the oversized handle offers a firm grip. Plastic handle, two non-replaceable scrubbing pads, bristle free. Enjoy cool-touch, convenient grilling with your Kitchen Aid Triple Action Cleaning Brush. 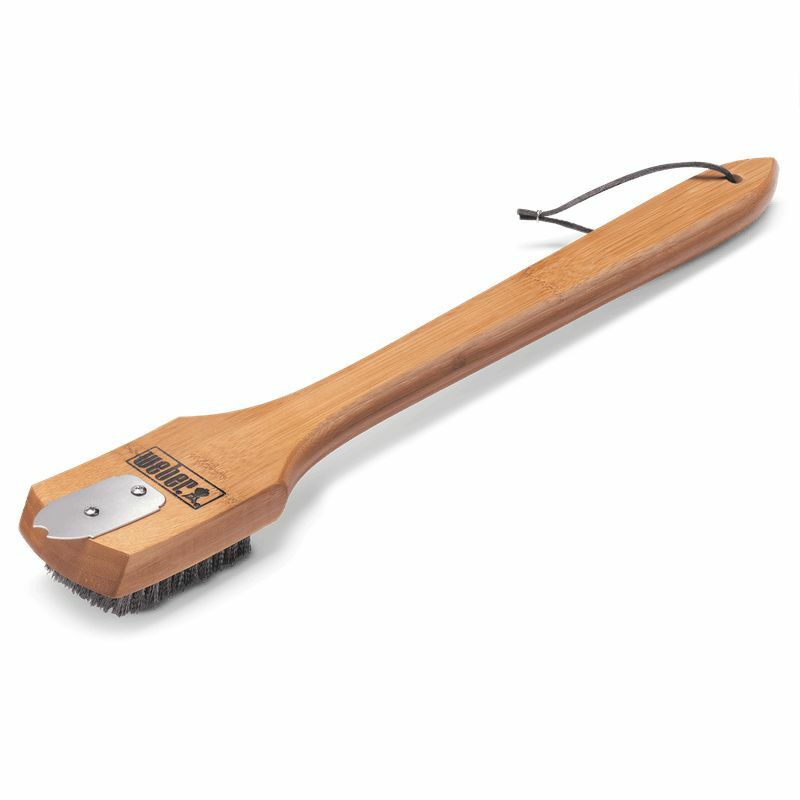 This 3-in-1 design includes a nylon bristle head, steel wool scrubbing pad and scraper blade. The classic design and durable materials will enhance your grilling experience and guarantee you have the right tools for the job. 18-inch Bamboo BBQ Brush Easily clean cooking grates with this bamboo grill brush featuring long-wearing stainless steel bristles. 18-inch Bamboo BBQ Brush is rated 4.3 out of 5 by 132. Rated 5 out of 5 by Mikeyk from Simple, straightforward, the best grill brush I have ever used! Simple, straightforward, the best grill brush I have ever used! Rated 5 out of 5 by Teklon from Well made and reasonably priced.... Well made and reasonably priced.